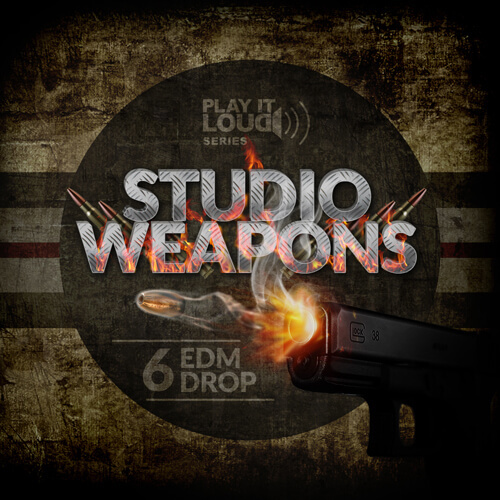 ‘Play It Loud: Essential Studio Weapons 6 EDM Drop’ from Shockwave is the newest volume in this best-selling series. This one is a collection of full tracks including break loops, drop loops, MIDI loops, Kit stems and vocals inspired by the most powerful EDM bangers in recent months. Among all tempo and key-labelled loops you’ll find a powerful assortment of Big Room, EDM, Electro and Progressive House phrases, covering all of the instrumentation typical to the genre. All of these expertly recorded and composed samples are Royalty-Free, meaning they’re cleared for personal and commercial use. If you love tracks with hard and fat drums, uplifting breaks and massive drops like those of W&W, Showtek, Hardwell, Dimitri Vegas, and Like Mike, this pack is the next must have in your studio collection!